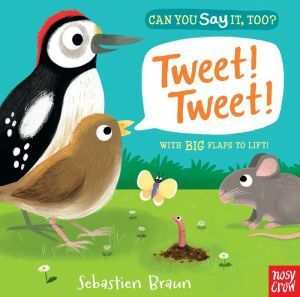 Children will love spotting the bird, lifting the flap to reveal the complete creature, and then making its noise in this latest book in the Can You Say It, Too? series. Sturdy flaps and simple text combine with friendly artwork to make a fantastic first book that is great for sharing with children who are just starting to talk.